2019 Mercedes Benz GLC Coupe unveiled - India bound? The 2019 Mercedes Benz GLC coupe has been unveiled. The new SUV coupe has a similar fascia to the Mercedes Benz GLC Crossover SUV, however, the Coupe has more aggressive styling character. The headlamps have strongly pronounced features with LED DRLS and wide chrome bedazzled grille sits up front. The roofline slopes downward at the end and gels with the already high set boot. The side profile flaunts large multi-spoke wheels and chrome highlights on shoulder and window line. And the rear sports angular exhaust tips with a new diffuser. Inside the cabin is 10.25-inch infotainment system with MBUX (Mercedes Benz User Experience) interface and a 12.3-inch instrument cluster behind the multifunctional steering wheel. The 2019 Mercedes Benz GLC Coupe will come with a choice of petrol and a diesel engine. 2.0-litre turbocharged petrol and a diesel engine. The petrol engine will be offered with a 48-volt electric motor as well. 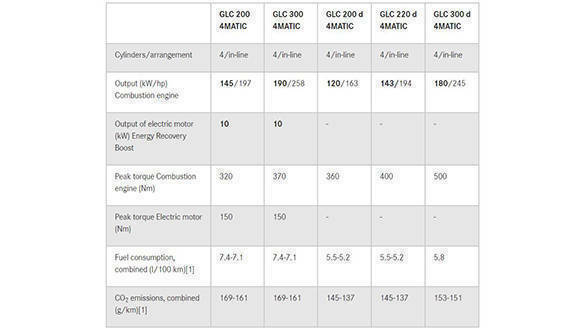 The power output of the petrol engine ranges from 200PS to 260PS and diesel engine has a power output which ranges from 165PS to 249PS. We expect the German carmaker to launch the GLC coupe in India by early 2020. 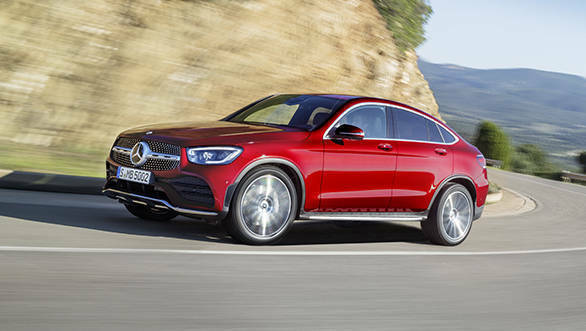 When launched, the Mercedes Benz GLC coupe will rival the BMW X4 and will be priced at par with it.